The term protection of minors in the context of media is concerned with ensuring that harmful content in the media does not damage the physical and psychological development of our children. These protections ensure that our children can grow and develop a strong personality. Whoever wishes to bring a product to the media market in Germany must ensure that it complies with the laws on the protection of minors. The relevant legal provisions are contained in the Interstate Treaty on the Protection of Minors (Jugendmedianschutzstaatsvertrag – JMStV) and the Protection of Minors Act (Jugendschutzgesetz – JuSchG). We are in constant contact with the relevant institutions and authorities such as the Commission for the Protection of Minors in the Media which is an institution created by the state broadcasting corporations. Whether it is a film, website or TV programme – all media products must comply with the regulations. 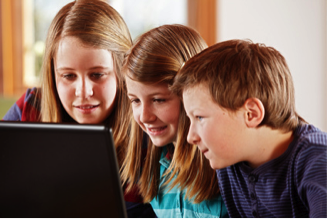 How do I prevent children and young people from gaining access to my website? How can I be sure that the products I am sending do not fall into the hands of children? When do I need to contact a youth protection officer?